Firm: Richard Fleischman + Partners Architects, Inc.
Overview: The topography and the Cuyahoga River are natural elements that assign a unique image to the city of Cleveland. 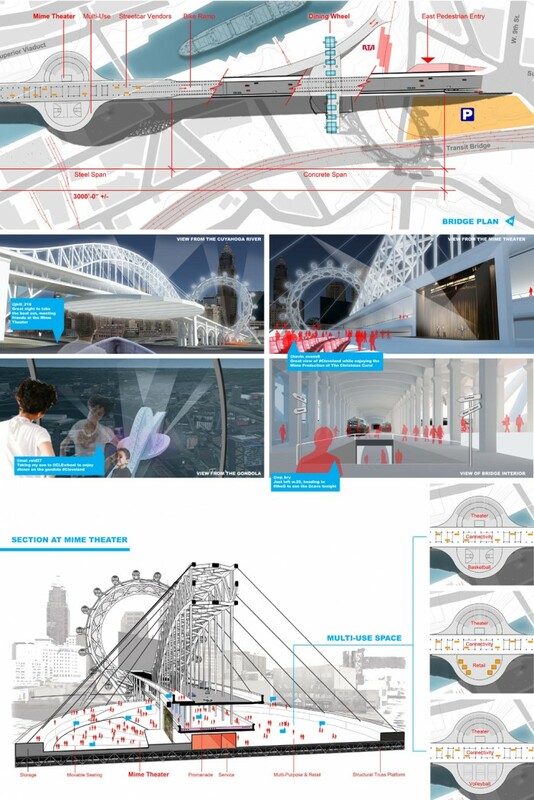 Technological and humanistic expectations can be realized by the design of spaces to accommodate a variety of activities in and around the Detroit Superior Bridge. Understanding the expanding technology and societal changes is essential to a visionary attitude and contribute to the success of an innovative plan. 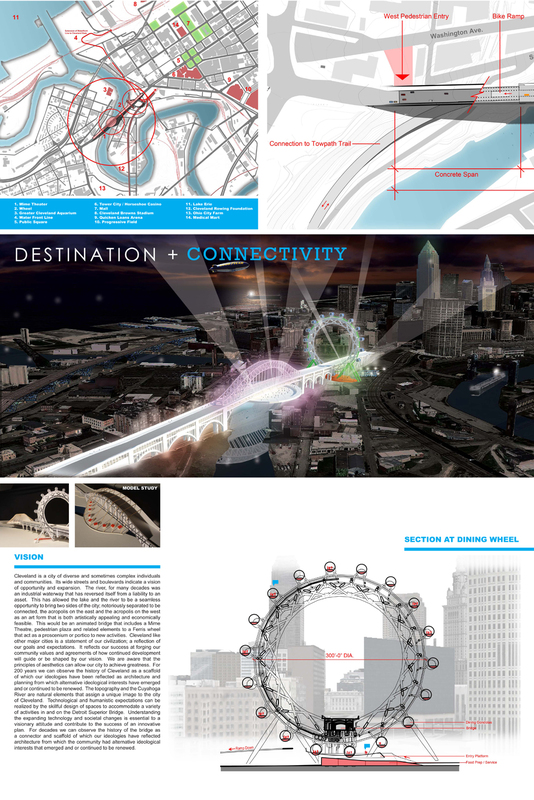 The river has reversed itself from a liability to asset and now with a new interest in the Detroit Superior Bridge is artistically appealing as a Mime Theatre and related elements to a Ferris wheel with 24 dining gondolas that act as a proscenium or portico to the new vibrant connector. 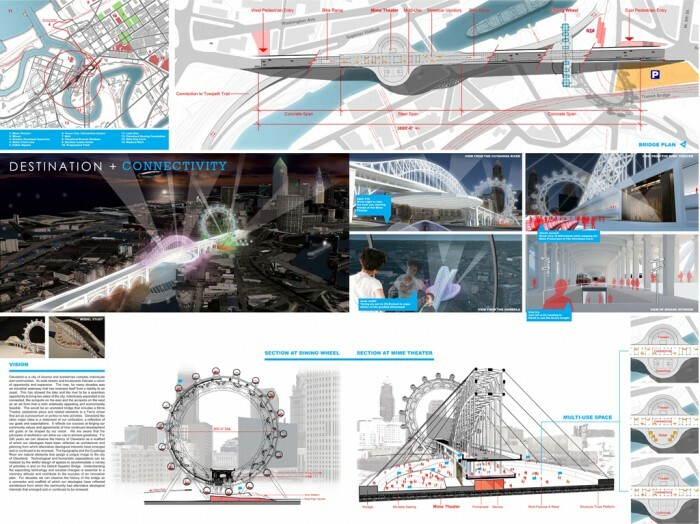 The bridge includes a multitude of activities and allows the opportunity to suspend a Mime Theatre and ancillary facilities on a 180 foot diameter disk from the steel truss. Mime is a silent communication production where presentation is through the movement of the body. The Ferris wheel with new technology moves on the periphery ring and will have 24 gondolas; each a dining room with a galley and unisex toilet.